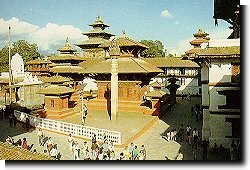 Travel-NEPAL.com, The Ultimate Site On NEPAL - World Heritage. In 1997, The World Heritage Committee added Lumbini, the birthplace of Lord Buddha on the World Heritage List.There are 630 properties inscribed on the World Heritage List (480 cultural, 128 natural and 22 mixed properties in 118 States Parties) . At the crossroads of the great civilizations of Asia, seven groups of Hindu and Buddhist monuments, as well as the three residential and palace areas of the royal cities of Kathmandu, Patan and Bhadgaon, illustrate Nepalese art at its height. Among the 130 monuments are pilgrimage centers, temples, shrines, bathing sites and gardens - all sites of veneration by both religious groups. Sagarmatha is an exceptional area with dramatic mountains, glaciers and deep valleys, dominated by Mount Everest, the highest peak in the world (8,882 metres). The park shelters several rare species, such as the snow leopard and the lesser panda. 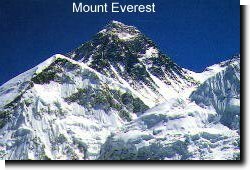 The presence of the Sherpas, with their unique culture, add further interest to this site. Date and History of Establishment Created a national park on 19 July 1976 and inscribed on the World Heritage List in 1979. Area 114,800ha. The park lies adjacent to the proposed Makalu-Barun National Park and Conservation Area (233,000ha). Date and History of Establishment Chitwan was declared a national park in 1973, following approval by the late King Mahendra in December 1970. 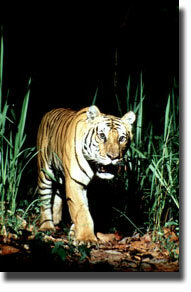 The bye-laws (Royal Chitwan National Park Regulations) were introduced on 4 March 1974. Substantial additions were made to the park in 1977 and the adjacent Parsa Wildlife Reserve was established in 1984. The habitat had been well protected as a royal hunting reserve from 1846 to 1951 during the Rana regime. 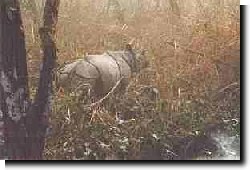 An area south of the Rapti River was first proposed as a rhinoceros sanctuary in 1958 (Gee, 1959), demarcated in 1963 (Gee, 1963; Willan, 1965) and later incorporated into the national park. Area Chitwan was enlarged from 54,400ha to its present size of 93,200ha in 1977. Parsa Wildlife Reserve covers 49,900ha. There was a proposal to further enlarge the protected areas complex by establishing the 25,900ha Bara Hunting Reserve (Wegge, 1976; Smith and Mishra, 1981), adjacent to and east of Parsa Wildlife Reserve, but this has been dropped (B.N. Upreti, pers. comm., 1986). Siddhartha Gautama was born in 623 BC at the famous gardens of Lumbini, and his birthplace became a place of pilgrimage. Among the pilgrims was the Indian Emperor Ashoka, who erected one of his commemorative pillars there. The site is now being developed as a Buddhist pilgrimage center, of which the remains associated with its early history and the birth of the Lord Buddha form a central feature.